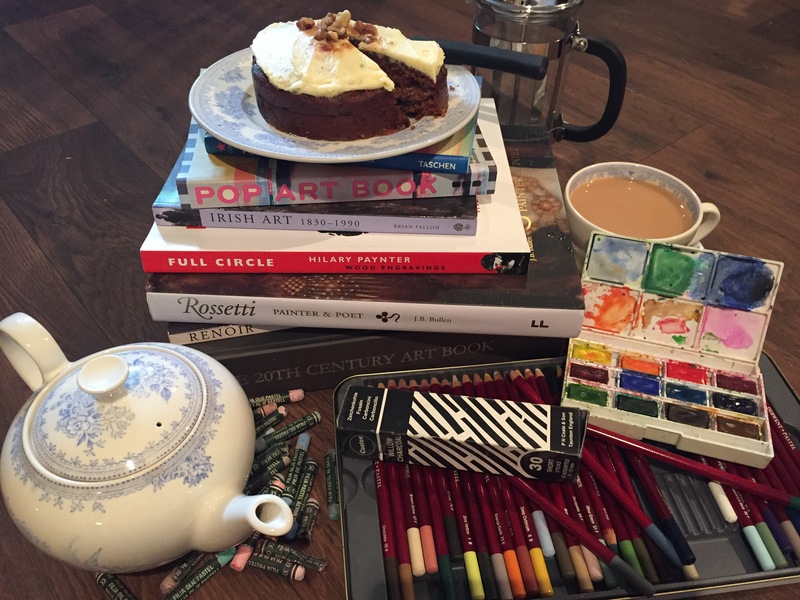 Taking place in her home studio at 22 South Parade, Northallerton, DL7 8SG, Sarah runs a twice weekly Arts Club from her home studio in South Parade, Northallerton. 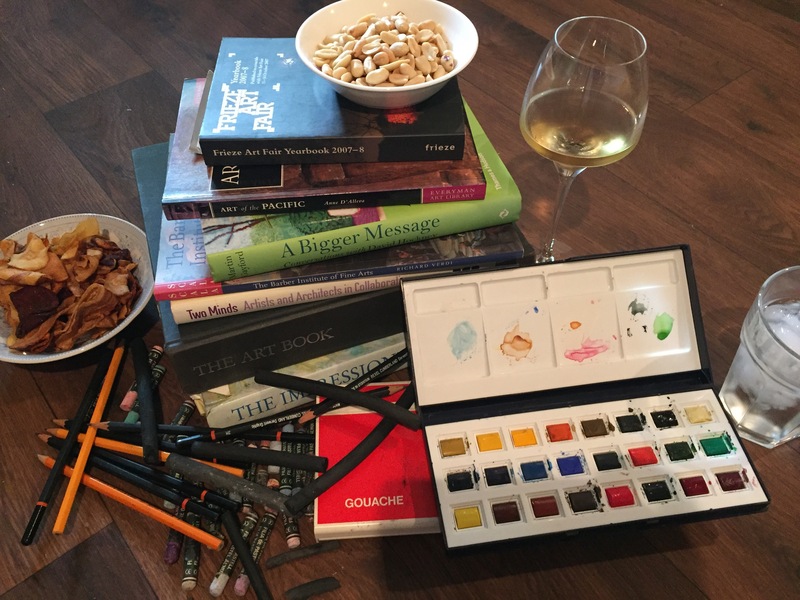 Branch Out Arts Club offers adults, of all abilities, friendly, fun and informal tuition in a relaxed, creative setting… Imagine a book club based around art practice with some peer-to-peer learning (and nice refreshments included in the price of the session)! There will be a different subject to study at each session, perhaps a vase of flowers, a bowl of fruit, or a group of objects selected for the season, and attendees will be able to approach the subject in whatever style they wish using any of the materials available. Materials might include pencils, pens, inks, watercolours, pastels, wax crayons, fabrics, or potentially found materials for anyone wishing to work in small-scale 3-d or relief. Arts reference books will also be available to leaf through and take inspiration from. Equally, people are welcome to use the time to develop their own personal project in a supportive environment! Branch Out Arts Club is designed to be inclusive and sociable. There is no expectation that anyone will create a finished work of art or a masterpiece in the two hours available; more that one will relax, experiment, and perhaps learn a little, but most of all enjoy some time out in a creative environment. *this session is taking a ‘pregnant pause’ whilst I try to conserve energy in readiness for the arrival of a new addition to the family! NB. Access to the studio is down a steep staircase – unfortunately, there is no wheelchair access to the studio.